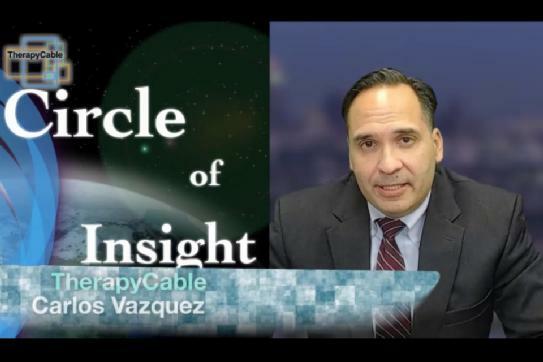 Part 02 of my visit with Dr. Carlos Vazquez on his Circle of Insight program on the TherapyCable Channel is up and running. The program offered me the opportunity to chat about many of the character actors and supporting players that appear in my Forgotten Hollywood Book Series, including Peter Lorre, Sydney Greenstreet, Boris Karloff, Cesar Romero, and David Niven (among others). It is an absolute joy to share these stories with the esteemed Dr. Vazquez. He has just agreed to write the Introduction to my third work in the Forgotten Hollywood literary series, set for release later this year. At TherapyCable.com, healthcare finally gets a facelift with dedicated broadcasting, video marketing, multimedia expression, utilization of mobile technology, and optimization of target markets. TherapyCable’s multimedia programs are available as a live stream, or on demand, under multiple categories linked to each specific provider’s profiles. Enjoy and share the link to anyone who love a good conversation about classic cinema. This entry was posted on Saturday, March 7th, 2015 at 12:15 am	and is filed under Blog by Manny Pacheco. You can follow any comments to this post through the RSS 2.0 feed. Responses are currently closed, but you can trackback from your own site.